What Makes a platformer great? Is it polish, tight controls, and solid mechanics? How about a good story, real-world tones, and great characters? Well if you combine all of those things together you get Celeste, which might be the best platformer I have played to date. 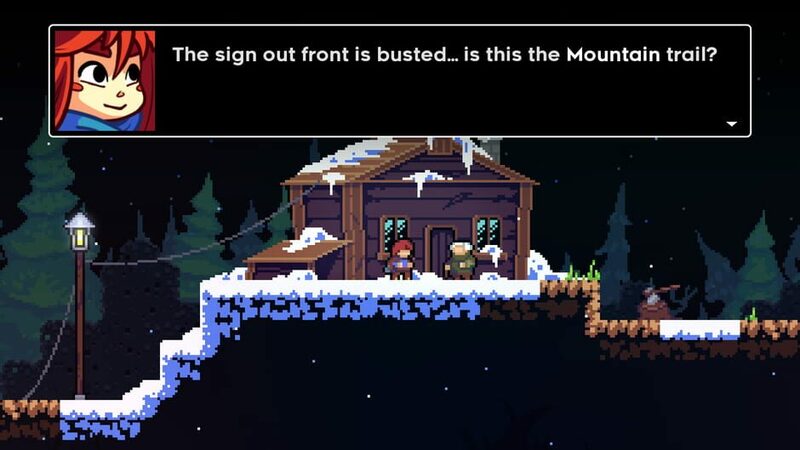 The game begins with your character Madeline beginning her journey to cross the Celeste Mountain. Along the way she stumbles and falls into a pit. It is at this point a friendly crow reveals that Madeline has the ability to perform an air dash. This is the point where the game really opens up and you experience everything this game has to offer. 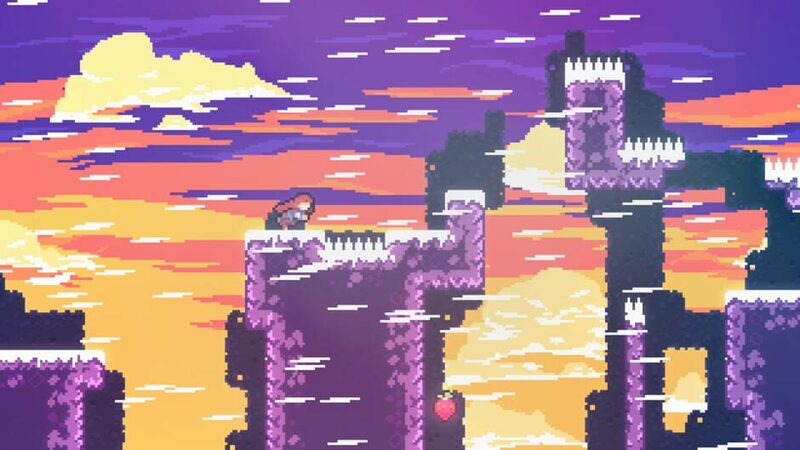 While other platformers may flood you with mechanics, Celeste takes the old-school approach of only giving the player a few mechanics, but developing them extremely well. This air dash works to help you avoid obstacles and traverse the diverse levels. You can only dash once in the air, so you have to be sure what you are doing is correct, and there is no margin for error. In addition to the air dash, you have the ability to climb walls. You can only climb walls for a limited amount of time but can wall jump to reach greater heights. The mechanics are very well developed and but are really stretched to their limits by the difficulty. 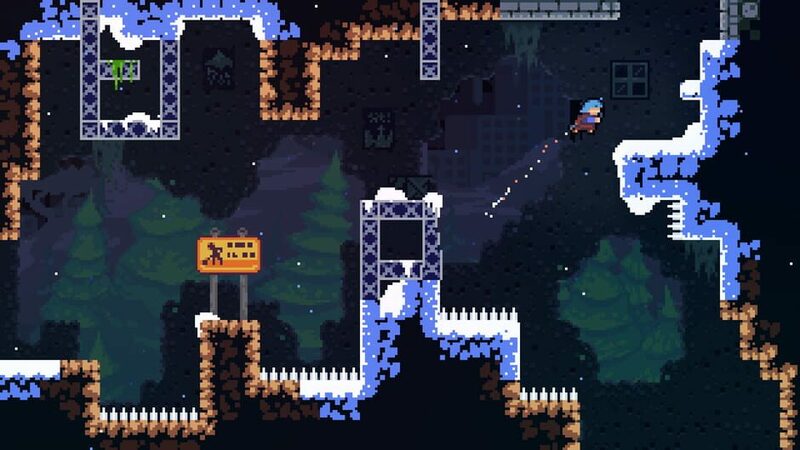 Celeste uses its difficulty as a teaching tool, encouraging the player to leave their comfort zone to learn to gameplay styles. The difficulty is also extremely modifiable with the existence of the Assist Mode. The Assist Mode allows the player to directly modify the game’s settings such as the percent of time passage, the number of dashes, and the amount of stamina. The best part about it is how seamless and painless it is, with no score drops, lack of collectibles or other downsides, it simply allows you to modify the game to suit your abilities. The process of dying (which you will do a lot) is fairly seamless as well. A simple sound plays and you appear back at the determined checkpoint. That simplicity prevents the player from getting too frustrated and allows you to move forward with the knowledge gained from what not to do. I finished out the game with a total of 2780 deaths, and at no point did I think of rage-quitting, even after getting about 250 deaths in a single session. The progression in the game takes the player through several unique and high-quality settings. Each zone feels nothing like the last and utilizes the game’s mechanics in a completely new way. While I do have a favorite (chapter 3 for those who have played), I cannot say any of them is better or harder than any other. This is because the game is great at introducing variety and scaling the difficulty with the player’s abilities. Along with the settings you will encounter a few characters along the way. While few in number, they are extremely well written, and all have very developed personalities. One interaction with a character stood out to me in particular, in which you converse with them after completing a particularly hard section. You as the player are actually controlling both sides of the conversation, and this is a form of human interaction I have never seen before in games. It was very interesting to both present and react to emotions and thoughts simultaneously and without consequence. 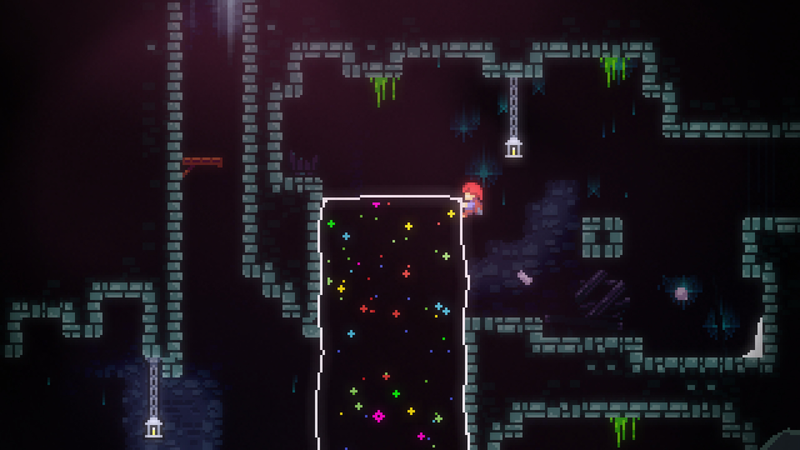 I have previously said that I think pixel art has become a bit tired for me, but Celeste has changed that. Its art is absolutely fantastic and very stylized to remind me of GBA games like Wario Land mixed with SNES classics such as Mario World. The game uses muted and mystical colors to make its world pop and hides secrets in plain sight with the use of slight imperfections in some walls and platforms. Never have I seen a game take on so many styles in such a short time, as each zone looks drastically different. Stage 3, for example, reminded me a lot of Studio Ghibli’s Spirited away, while Stage 6 reminded me of Kirby/Starfy games. This all comes to a head in Stage 7, where each style gets a section of the stage, and shows just how proficient the devs are at melding different styles. This is one of the best platformers I have played to date. As a combination of fantastic art, tight controls, and extraordinary story, it nears perfection. While not the longest experience in the world, it includes plenty of replayability, with secret “B sides”, the collectible strawberries that encourage leaving the beaten path, and a stage 8 you have to unlock. If you have $20 to spare, I cannot recommend this game enough, and you won’t regret your time with the mountain.